Whether you're planning a wedding, want to spruce up your home’s decor, or gift giving, a floral arrangement can add a lovely touch to any event or interior. This year, there are several exciting trends to watch out for, from deep coloring to unique bouquets. Local flower company and greenhouse Laurel Grove Florist in Port Jervis, NY, shares a few of these to get you inspired. While these colors are reminiscent of the fall months, they can make a cheery statement all year round. Orange hues offer a rustic palette for a charming kitchen flower arrangement, while bright yellows are ideal for a sunny wedding. Wreaths are still one of the most popular options to hang on your front door and welcome guests, but hoops are a newer addition to brighten up a baby shower or wedding. Many love customizing gold and silver hoops with light pinks and subtle greenery to create an ethereal look for special occasions. Moss is a beautiful option to add more structure to an arrangement or home decor piece. This year, many are arranging it in a bowl mixed with succulents or rocks. You can also use it to add more greenery to a wedding bouquet. These flowers are known for their vibrant reddish-pink hue and make a statement in any arrangement. As they fare better in cooler areas, this plant does best indoors and would make a lovely gift for a significant other. Deep purples, like burgundy and plum, are one of the most sought-after color schemes for the year. Flower shops can create stunning bouquets for weddings that prefer an elegant theme. 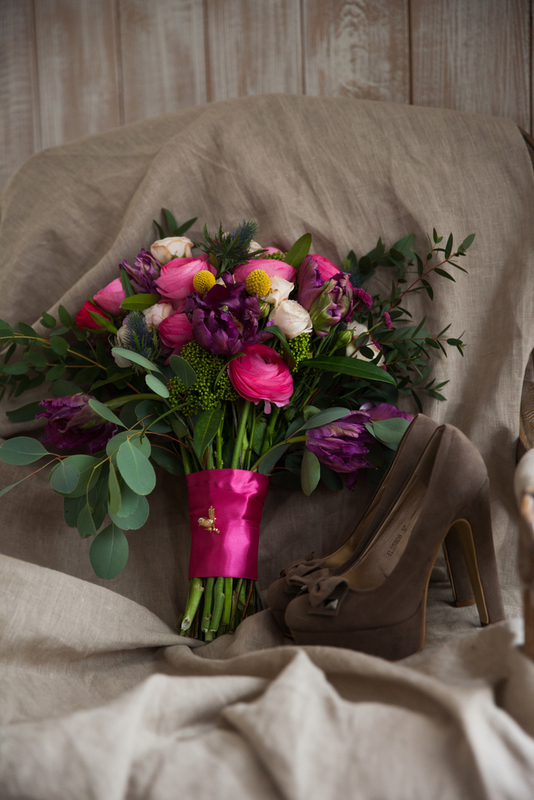 Dark hues easily mix and match between a range of delicate options, such as roses and peonies. Rustic and ethereal aesthetics have been one of the top wedding styles this year. Add foraged flowers, such as vines, leaves, and branches, to complement your wedding decor. You can also supplement an arrangement with lavender or light pink flowers to create a garden-chic look. If you're looking for a quality florist in the Port Jervis, NY, area, turn to Laurel Grove Florist. Since 1912, their team has been the premier flower company in the area, helping residents create beautiful bouquets and special occasion gifts. The family-owned business grows most of their plants on the lot, so customers have a variety of gardening plants to choose from. To browse their selection, visit the flower company online or call (845) 856-3623 to customize an arrangement today.